Based in Odisha, Centurion University partnered with Dassault Systèmes to make the world’s most advanced technologies accessible to the students there. 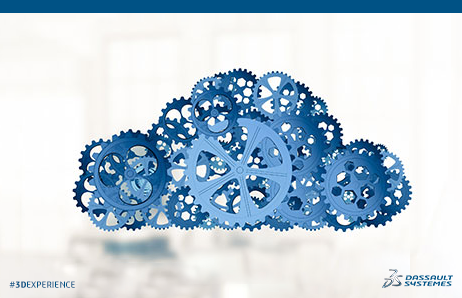 By providing students with the 3DEXPERIENCE platform on the cloud, the university is ensuring that the students have the same resources and exposure available to them as present in leading global enterprises and manufacturers. Professor D N Rao, Vice President, Centurion University provides a depth perspective. Carrying a vision aligned to the Make In India initiative of closing the skills gap, the 3DEXPERIENCE platform has proven to be a valuable resource. With the initial manner of teaching at the university being that of individual applications for design, engineering, and manufacturing, the switch to the pioneering deployment of cloud-hosted technology was a leapfrog over several other universities around the world – ensuring that students get trained with the skills and technical knowledge that employers require. The students at Centurion University outshine candidates from other universities. Over 70% of its graduates enter manufacturing, and their previous exposure to the same unified and universally accessible enterprise platform that is used in the industry ensures that their skills and experience are at par with industry requirements. Working with this platform represents a new paradigm in teaching because it allows multidisciplinary interaction. Mechanical, electronics, systems engineering, materials, CNC, welding and design students work together on very complex and detailed virtual 3D models, including complete vehicles. In the past, this was not possible. This has brought about a significant change in the way students engage and learn, as collaboration and understanding each other’s work enhances the students with a much broader view that encompasses more factors than their individual subjects encompass. Working in teams means students collaborate. They teach themselves and each other whatever they need to learn to become self-reliant innovators. Centurion University uses virtual reality (VR), which enables students to experience what would otherwise be a blind spot, thus allowing them to completely immerse into projects, visualizing and understanding them in new ways. By enhancing students’ understanding in this manner, they rapidly become industry ready professionals. 3D printers and robots are also available to help students evolve their ideas into the real world. At Centurion University, there is further action plans to deploy this exciting technology further to study life sciences, textiles, apparel, and mining. Being cloud-hosted implies that there are no limits. Students can model anything to understand and master its complexities. Inspired by the 3DEXPERIENCity simulation of Virtual Singapore, one student group has produced a working city simulation that incorporates buildings, services both above and below ground, and urban planning scenarios. The introduction of this level of technology has had a marked effect on the confidence of students and teachers alike. They have become emboldened and are not afraid to make mistakes, courtesy of the virtual world they have access to, where these mistakes have no real consequences. This means students really do learn from their mistakes and quickly move on to higher levels. They work beyond previous boundaries perceiving a bigger picture, making more and better connections and thinking and operating on a larger scale. The virtual world has freed minds and surprised many people by fermenting new, bold and exciting ways to teach and learn. With this technology, the impossible is made easy, complexity is simplified and learning becomes fascinating. At Centurion University, the mission is to shape lives and empower communities. The partnership with Dassault Systèmes and the power of the 3DEXPERIENCE platform boosts the drive towards those goals by transforming how teaching is done and what students learn. Technology is bringing about changes – to minds, to the world, and to the future, now.